Alongside Christmas and Thanksgiving, Mother’s Day is easily one of the busiest holidays in the United States. According to the most recent statistics, Americans will spend at least $21.2 billion on Mother’s Day this year. If you’re a hungry entrepreneur looking to make extra money, here are a few topnotch Mother’s Day business ideas guaranteed to succeed. Mother’s Day is always a good time for moms and daughters to reconnect via a wholesome activity. Tea parties that are stocked with scones, biscuits and the like are a great way to rekindle the mother-daughter bond. Book a commercial location, hire a caterer and watch the money roll in. It’s no secret that Mother’s Day is a bonanza for flower merchants. You can seriously bump up your profit margins by supplying the product yourself. All you need is a cheap greenhouse, decent seeds and the patience to wait for mature flowers to appear. Sell your goods locally via a Shopify store. The reality is that high-end chocolates created by the likes of Toblerone aren’t that hard to emulate if you’re competent in the kitchen. All you need is some quality cocoa butter, coconut oil and a good recipe to get started. Tinker with a few different formulas and market your specialty confections on the web. Mom-and-son events are usually more physical than mom-and-daughter gatherings that revolve around food and conversation. Pick a unique concept like a dune buggy tour or a glass-blowing class and hire the necessary employees to pull it off. If possible, pick an activity that you engage in yourself to save on materials. Anyone with a little artistic flair and an image editor like Photoshop can whip up amazing Mother’s Day cards and market them on the web. Sites like Etsy and Bonanza make it easy to sell your creations online. Personalized greeting cards will typically fetch a higher price than generic alternatives. Every mother likes to receive an array of tasty treats and practical gifts on their special day. Gift baskets are a great way to deliver the goods and make a pretty penny in the process. Come up with a few different packages to appeal to a diverse array of consumers. Referring the products of other businesses to consumers is always a sound way to make money on the web. Set up a WordPress-based site that revolves around Mother’s Day gift recommendations for kids. The Amazon Affiliate program will allow you to market literally millions of products across a wide price range. Nothing makes a mother feel more appreciated than a well-deserved getaway. You can make a ton of money without having to act as a travel agent by organizing “staycations” that capitalize on attractions and amenities in your area. Forge relationships with nearby restaurants and hotel owners to secure discounts. You don’t need to be a master goldsmith or a jeweler to come up with pretty yet affordable jewelry. Stock up on eye-catching stones and non-precious gems that you can tinker with when developing your own unique jewelry designs. Use sites like Etsy, ArtFire and eBay to sell the goods to customers. Breakfast in bed is a timeless way to show moms that they’re loved. The success of start-ups like Blue Apron prove that there’s a market for ready-to-cook meal kits. A Blue Apron knock-off targeted at fathers and children that want to whip up memorable meals on Mother’s Day can be quite lucrative if promoted intelligently. Buying bath salts and perfume is always a safe bet when it comes to Mother’s Day gifts. If you want to go all out, you can devise your own concoctions and make them at home. For most entrepreneurs, buying in bulk from an established manufacturer and flipping the merchandise is the easier option. Arguably the best Mother’s Day gift for the majority of American women is a reprieve from the colossal hassle that is spring cleaning. Advertise your cleaning service at least a month ahead of schedule. Stock up on cleaning tools and supplies to make the actual house-cleaning process less of a pain. Commemorative items like t-shirts, sweatshirts and hats are an easy sell if you come up with an original concept. Designing fetching t-shirts that can be customized for recipients is a walk in the park with a service like Teespring. If you’re not great with Photoshop, use Fiverr to outsource the graphics creation to a freelancer. Every mother loves receiving favor vouchers that can be redeemed whenever they’d like from kids and significant others. Come up with a list of creative favors for moms and use a site like ThunderTix to produce physical and digital copies. While a coupon business won’t make you rich, the profit margins are amazing. 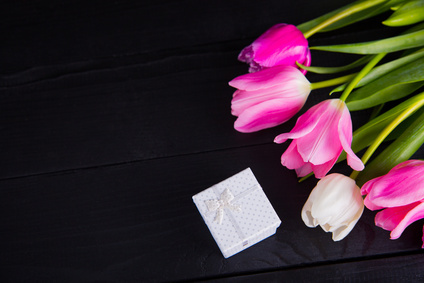 Many consumers are sick of defaulting to the usual Mother’s Day gifts like flowers or sweets but can’t think of any decent alternatives. If you’re a creative entrepreneur that can come up with the perfect solution to any problem, a Mother’s Day consultancy is a great business idea. You can make a ton of money by buying dishes and cookware, customizing it and flipping it to end users. There are many vendors of cheap, Chinese-made cookware that can be found online. Alternatively, you can buy handmade gear from local artisans and fetch a higher price per unit. As one of the most popular holidays in the world, Mother’s Day is a goldmine for entrepreneurs that think a bit differently. Any of these ideas can produce a healthy short-term revenue stream every year if you plan things out ahead of time. Focus on customer satisfaction first and the money will follow.